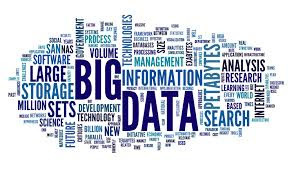 Big data is a phrase or methodology that describes the aquire, cure, process and store the humongous volume of data that is limited to handled by the traditional systems with in the stipulated period of time. Big data is simply the large sets of data that businesses and other parties put together to serve specific goals and operations. Big data can include many different kinds of data in many different kinds of formats. As a rule, it’s raw and unsorted until it is put through various kinds of tools and handlers. Big data usually includes data sets with sizes beyond the ability of commonly used software tools to capture, curate, manage, and process data within a tolerable elapsed time.Big data "size" is a constantly moving target, as of 2012 ranging from a few dozen terabytes to many petabytes of data. Big data is a set of techniques and technologies that require new forms of integration to uncover large hidden values from large datasets that are diverse, complex, and of a massive scale. Broadly classified into man made and machine made data such as click stream event logs, device logs, photos, videos, historical datawarehouse data, geo satellite data etc. Shared nothing architecture. Big data sourced from web data, social media, click stream data, man-made data, machine/device data etc. Web log click stream data eg. Online banking transactions comparison between traditional and bigdata. Man made data eg. Sentimental analysis through twitter, fb etc. Product campaign analysis. Machine/device data such as geospacial data from gps devices such as Telematics, truck roll for efficient technian productivity measurement. Bigdata is the center of attraction for all the technologies storage, processing and business value derivation needs. With the current/traditional systems industry was concentrating of implementing digital provisions and solutions for their business starting from application development programming to help clients interact with the business providing better UI experience, datawarehouse solution to convert, store, process and produce business indicators to promote the business, data storage solutions provided by db companies to store and retrieve RDBMS data efficiently. Now bigdata is in high demand due to all traditional systems are incapable of handling humongous volume of data being sent from different mediums of different format that has to be processed in a stipulated period of time and brings a real insight and business output from those data including the search of new business oppurtunities such as customer retention, scaling the business etc. Bigdata is one of the top trending technology, Bigdata, Cloud computing, Enterprise mobility, DevOps, IOT.